Busted! 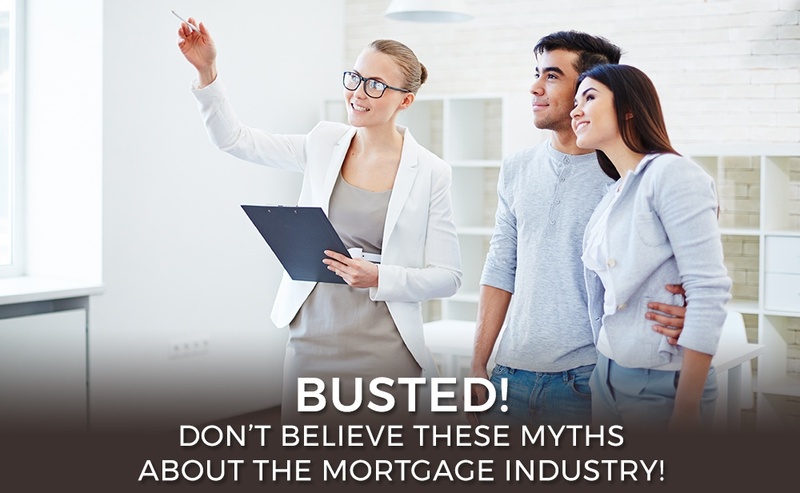 Don’t Believe These Myths About The Mortgage Industry! Investing in your dream home or commercial office space is a big step and costs a great deal of money. To ensure this move is well planned and you have sufficient funds, the first thing you need is advice from a mortgage broker. Now, many people believe mortgage brokers only exist to take their money because they are middlemen. However, that’s not really the case. Mortgage brokers connect lenders and borrowers and serve as advisors to people in need of loans. Using the connections mortgage brokers have developed with lenders can help you obtain great benefits and interest rates. On the other hand, believing in the myths and misconceptions about the experts in this industry can rob you of your dreams. To help you figure out what’s true and what’s false, Tony Hundal of Axis Mortgage Corp has exposed some of the most common myths about the mortgage broker industry. Myth 1: There’s only one kind of mortgage product. Mortgage brokers connect you with different lenders in the market, and they also provide you with a wide range of mortgage options for different borrower needs. Some examples are a portable mortgage, maintaining a line of credit with a mortgage for future use, collateral mortgage, reverse mortgage, and many more. Each one comes with unique features like more flexibility, higher chances of obtaining a second loan or avoiding contract change penalties. Myth 2: Mortgage brokers offer only a specific mortgage product. In many cases, people believe that their options are limited because mortgage brokers either do not know all the mortgage products available or they only prefer certain lenders for the commissions they provide. This is not true as not everyone has the same mortgage requirements. Also, the brokers offering just one kind of mortgage don’t remain in the market for long. Myth 3: Mortgage brokers are salesmen, not debt experts. Mortgage brokers are professionals who assist borrowers to find the best mortgage products at affordable rates. However, before this is done, the broker must acquire relevant data about your income, assets, and the value of the property to be purchased. Based on this information a loan amount will be determined and the type of mortgage product most suitable for your preferences. Always ask your mortgage broker about the services they specialize in it will decide if they are the right match for your needs. Myth 4: Borrowers should care only about what interest rate they are getting on their mortgage. While paying attention to the interest rate of your mortgage is crucial, it is not the only aspect to consider while choosing a mortgage. Interest rates fluctuate over time so you cannot make your mortgage choice on this alone. You must also consider mortgage features, requirements, different lenders, advice from brokers and your capacity to repay. If you’re looking to steer clear of these myths and gain access to the best mortgage products, reach out to Axis Mortgage Corp’s Tony Hundal. As the best residential and commercial mortgage broker in Surrey, BC, I help you truly understand your mortgage needs and explore innovative and traditional mortgage products. Years of experience in the mortgage industry allows me to bring you flexible mortgage solutions so you can have your real estate dreams without hassles. For a complete list of my services, please click here. If you have any questions about Axis Mortgage Corp, Tony Hundal, or mortgages, I’d love to hear from you, please contact me here.